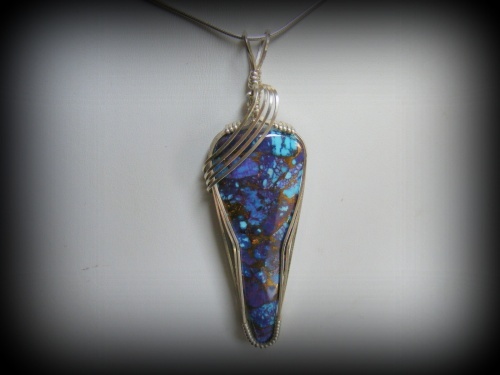 This beautiful fashionable Mohave turquoise has deep purple and turquoise and brown running through it, making it so unique and striking. Piece is styled with a pretty sterling silver swoop going across the top. Measures 2 1/2" from top to bottom and 3/4" at its widest part. Comes with a sterling silver snake chain.